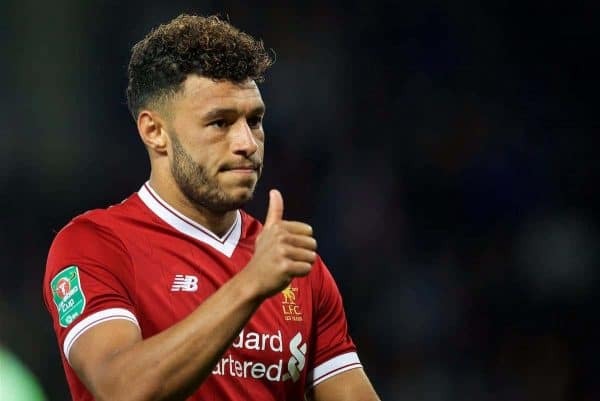 Alex Oxlade-Chamberlain took part in outdoor training with Dejan Lovren and Ben Woodburn on Monday, as Liverpool’s warm-weather camp in Dubai begins. The Reds left Merseyside after Saturday’s 4-3 win over Crystal Palace, with a lengthy break before the arrival of Leicester on January 30 providing an opportunity to get away. While the majority of his players had two days to rest, Oxlade-Chamberlain took to the pitches at Nad Al Sheba Sports Complex to continue his recovery from a long-term knee injury. Oxlade-Chamberlain can be seen working on his close control, passing and heading, and as Klopp enthused in a recent press conference, looks to be moving freely despite the severity of the injury picked up back in April. “When I see him running, or when I see him moving with the ball and all that stuff, what he’s doing already, that looks really good,” the manager explained. Patience is still required with the 25-year-old, but Klopp added that he “thinks we will see him this season,” which is hugely encouraging. 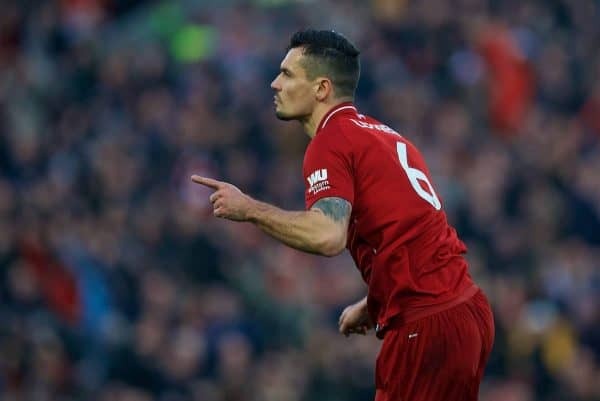 The return of Lovren will be a boost ahead of the end-of-the-month clash with Leicester, as defensive options Joe Gomez, Trent Alexander-Arnold, Fabinho and Ki-Jana Hoever are all currently sidelined. And with Woodburn working his way back to full fitness, he is likely to depart on another loan spell this month following the early termination of his deal with Sheffield United. It is unclear as of yet which other players have travelled to Dubai, but This Is Anfield will bring full updates when possible.